All of the essential information in summary! Need more help? Visit the full wiki categories or type /help. Return here with 'guide.emc.gs'. /server - Brings up a screen where you can select the server you want to visit. /smp# - For example, /smp4 would take you to SMP4. EMC offers a gaming experience unique to every user. With the /ps or /settings command, you can scale the difficulty at which you face mobs, change alert sounds and locations, as well as toggle various in-game features. With the 'Play Your Way' system, you are able to bring what you care about to the forefront of gameplay. 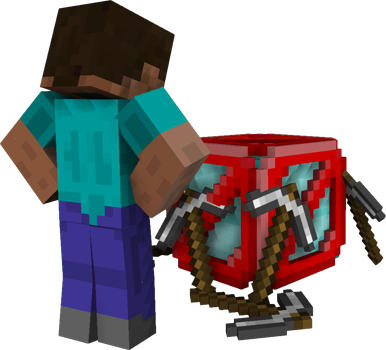 The Empire has all the normal Minecraft mobs, plus a few special ones. If you are in the Frontier or the Wastelands, you may see them up close. They are well worth the fight and can even drop some special gear. If you aren't up to the challenge as is or you want a bigger fight, you can change your player difficulty with /ps to suit your play style. Don't forget that you will earn better loot if you play on a higher difficulty! The best part: no client mod is needed to see these! With our talented Developers, we can provide refreshing and exciting monsters and bosses by programming them with better intelligence, behavior, and actions! It is the goal of our friendly Staff Team to make playing on EMC an enjoyable experience for everyone, with a family-friendly atmosphere where all ages can fit in. We also have other important rules in place, so please read the Rules and Moderation page in full for these and thorough explanations. If you need help or have any questions, please feel free to use /staff or visit staff.emc.gs to get in touch with one of our helpful Staff members, who will be more than happy to assist you. (C) Community - The main channel, used for general communication between the Community. You can see and speak in this channel from every world on the server you're on. (L) Local - Used for communication with players that are nearby. If no one can hear you, the server will alert you. (R) Residence - Used for communication on a single residence only. (G) Group - Used for communication between members of your group. Perfect for Frontier and Wastelands exploration. (M) Market - Used for discussing economy-related things like buying/selling items. Channels also exist for Supporters (S) and Staff/Moderators (Mod). Start a private conversation with another player using /tell [PlayerName]. If someone is bothering you, and you do not want to see their messages anymore, you can ignore the player with the command /ignore [PlayerName] (use /unignore [PlayerName] to unignore players). If you forget what the Chat Commands are type /chat in-game and a description of all the Commands will pop up on your screen. To join the Website and forums (empireminecraft.com), type /register. You will receive 5000 bonus Rupees upon your first log in! The forums are a great place to find out what is going on in the Community, participate in the marketplaces, find Community events, make suggestions and stay up to date with updates about the Empire. You may also see players' creative sides with pictures, videos, and music sections. The Site also allows you to track your in-game details and become a supporter, plus lots more! Everyone is welcome, so don't be afraid to post on topics and put yourself out there to become a part of the friendly EMC Community. Start off by creating a thread in the Introduce Yourself section! The Town is where you can find your very own, protected 60x60 residence. You will have one automatically when you leave the tutorial. Use your residence to build your dream house, start a shop, or create anything else you can think of. The choice is yours (as long as it follows our rules)! 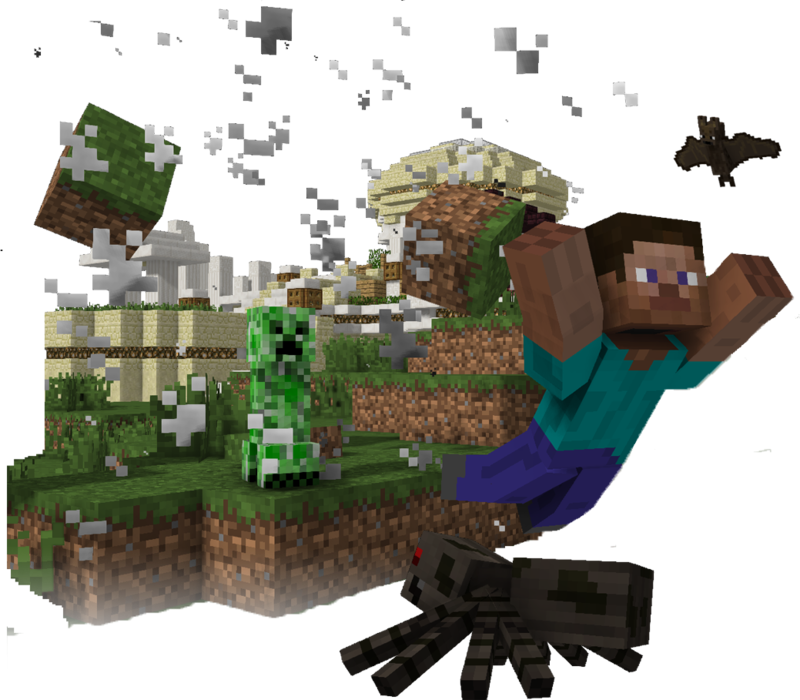 It is safe in Town: mobs will not spawn, and there is no fall damage to worry about. No one can build on your residence without your permission. Your residence has only dirt on it. To gather resources, you will have to leave the safety of Town and travel to the Frontier or Wastelands. /home- Teleport back to your residence from anywhere within the Town. /town - Teleport to the Town spawn. /visit [####] - Teleport to a residence by using its address number. 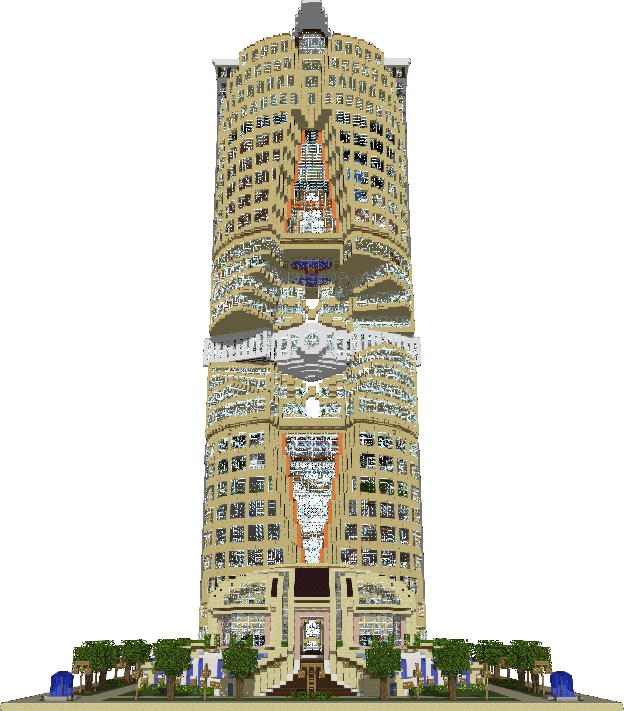 /visit [PlayerName] - Teleport to the residence owned by [playername]. Note: You cannot teleport directly to a player, except with the Group System. If someone wants you to visit them, you can /visit to their residence using the Commands above. Explore the far reaches of the world and build giant fortress bases with your friends. The Frontier does not reset, so it's perfect for this! Once you leave the spawn outpost, you can only return to the Town by travelling back to that spot or another outpost. Be careful, and take plenty of supplies with you. Lost? Just check out the section below! /frontier or /wild - Teleport to a random Frontier outpost from the Town. /frontier [n, s, e, w or m] - Go to designated outposts in the Frontier. /nether - Go to the Frontier's Nether world. The Wastelands world is primarily used for mining and gathering resources that you can sell to shops or use for yourself. We strongly suggest that you do not build any structures in the Wastelands because this world is periodically reset every 3 months, and we don't want you to lose your items. /wastelands or /waste - Teleport to a random Wastelands outpost from the Town. /wastelands [n, ne, e, se, s, sw, w, nw or c] - Go to designated outposts within the Wastelands. /wnether - go to the Wastelands Nether world. The Wastelands and the Frontier each have their own Nether and End Worlds. You can access the Nether with the relevant command listed above if you're in Town or a spawn outpost, or with a Nether portal. The End is found with Eyes of Ender in the Wastelands and Frontier, but there are fewer portals in the Frontier. 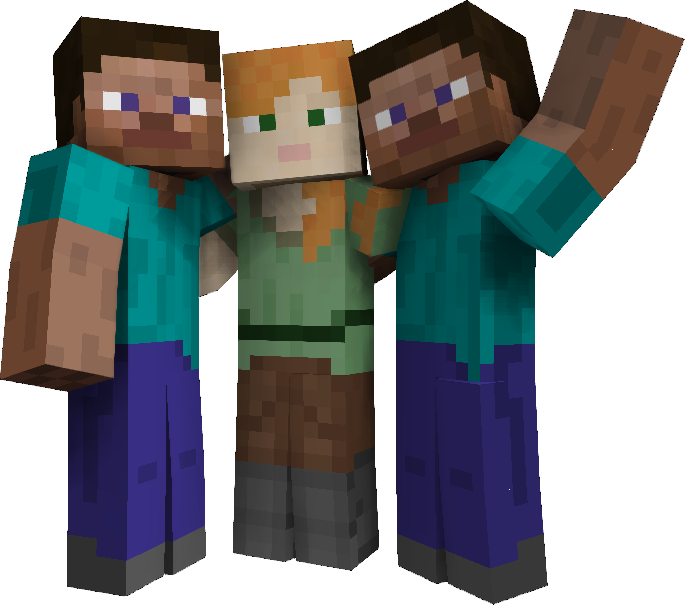 The games world is used to host for the frequent server events Empire Minecraft organizes. Check out our Events Calendar for more details and stay tuned on the forums to new announcements. Connect with /games to explore. Remember, don't steal or grief in any of the Worlds. Those who do so will be banned. If it's not yours, don't touch it without permission! If you get lost, use the Live Map for help. You can type /map in-game to bring up the Live Map link for the server that you're on. Click on your name to go to where you are in-game. Make sure you are visible on the map with /map show. Then, on the map, zoom out, look for the nearest protected outpost, and run in that direction. Once you are there, you can use most Town Commands, including /home. The ultimate source for Commands is the Empire Assistant. This perfect new player tool will help you get around and complete Basic Commands without actually knowing them from memory. 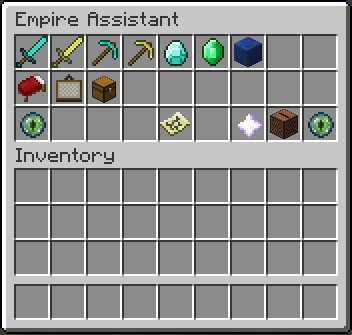 You can obtain an Empire Assistant by typing /assist new. You are limited to one assistant per server per 48 hours. Using the command /assist brings up a handy menu of buttons that will execute the Commands for you. Each button is titled with a display of what command it will be using, so it can also help you learn these Commands over time. Thanks to EMC's unique take on the Compass, you can also type /Compass ui to bring up a menu which lets you select where the Compass item itself points to. Each Staff rank is responsible for different aspects of your gameplay experience and work as a team to ensure a quality play experience for all. 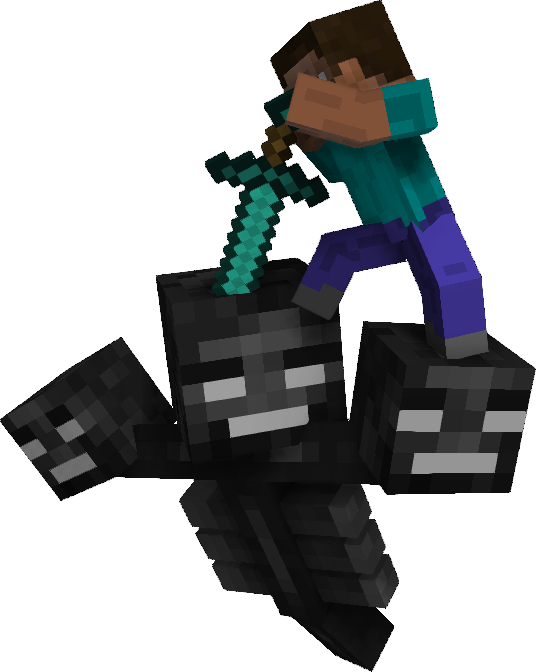 Use /staff to find out which server a staff member is on, then /smp to switch servers and ask for help, if needed. The Moderators have no special powers in-game, but may assist you if you have an issue with Chat report or a minor issue with general rule-breaking. 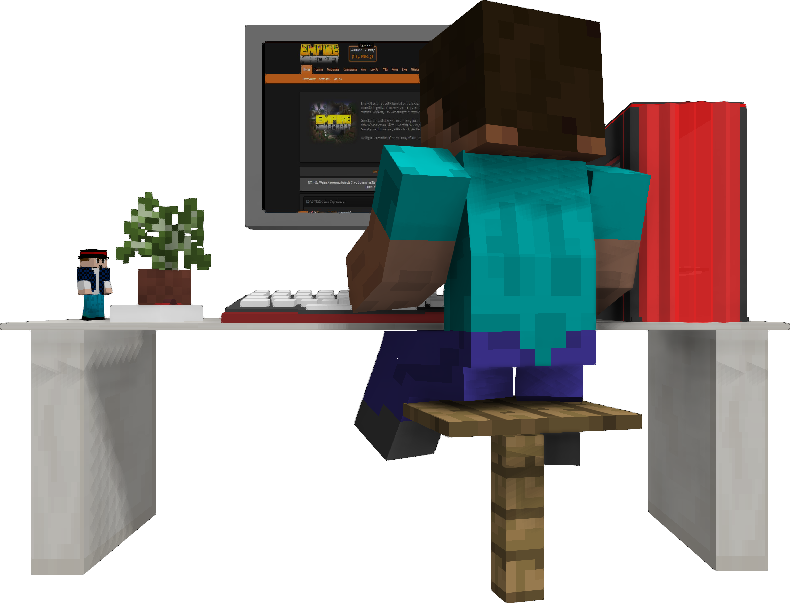 Developers work on updates and bug-fixes for the server. They may act as Moderators, if needed and have no special powers in-game. Senior Staff members have access to Creative Mode, but they won't spawn anything for a normal player or give you free stuff. This is a survival server, so access to spawned-in items is not allowed, unless for special promotion/award items. The Community Manager oversees everything non-technical, including the staff team as a whole. Our Community Manager is Krysyy. The Owner & Lead Developer oversees everything technical side. Our Lead Developer is Aikar. If someone is breaking the rules, the fastest way to alert the staff team is to report the player with /report [player] [reason]. It sends an alert to all available staff members, even those who don't appear in-game at the moment. This system prevents other players from destroying your creations outside of Town. Some uncommon blocks you place will be automatically protected, while other blocks are protected when you toggle /buildmode on, except in the Wastelands. You can grant temporary permission to let people break your blocks with /vouch [name]. It is integrated with the Friends System. For more information, visit the Anti-Griefing System page. Inside the Frontier and Wastelands Worlds you can lock chests and other supported blocks by using a sign. This protects them from being opened and stolen by thieves and troublemakers. Simply write "lock" on the top line of a sign above the block. On the lines below, write individual names to grant opening permissions to them. Placing a lock sign will cost you 1,000 Rupees. You can lock a variety of different items, ranging from chests to beacons and even player Heads. Once you have locked an item, only you can use or remove the item and the sign locking it. See the Locking Items page for more information on this system. 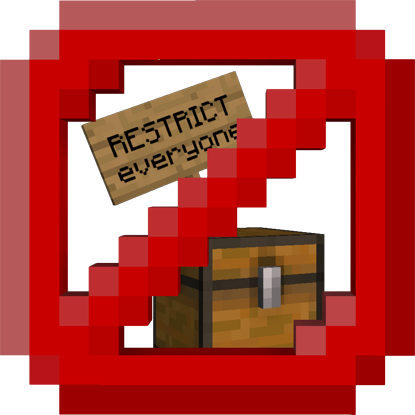 Access and Restrict Signs allow you to control who can and cannot use individual blocks and items, respectively. Simply write either "access" or "restrict" on the top line of a sign above the block. On the second, third and fourth lines, write individual names or write "everyone" to grant or revoke permissions. 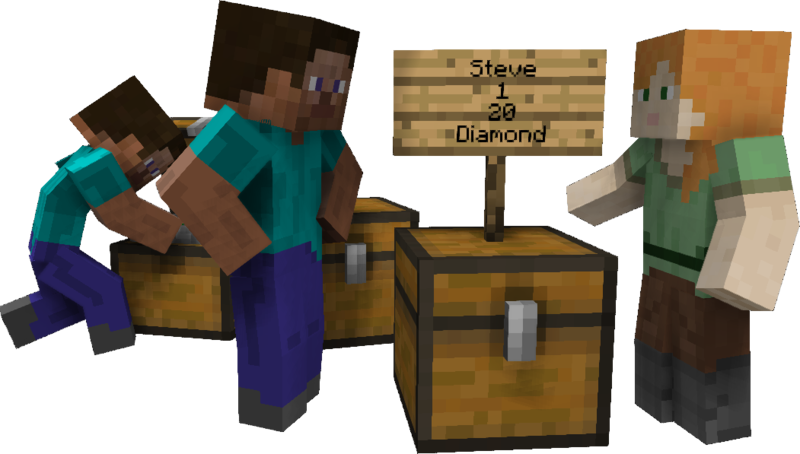 These signs can apply to chests, anvils, doors, redstone-based blocks, and more. See the Access and Restrict Signs page for more information. The Empire has lots of Flags for your residence in Town which control what other players can do on it. Flags are like permissions; they control what people can and cannot do, so be sure that you do not give Flags to people you don't trust. Below are some important Flags to know. Learn more about permissions at the Flags and Flags - Advanced pages. Build allows a player to build on your residence. Be careful with this one. Container allows a player to access all your containers, like chests. Be careful with this one, as well. /res info - Check residence info. It shows you all Flags on the residence, as well as the residence number. If you cannot travel onto a residence due to a false 'move' flag, click on the ground while holding a piece of string to bring up the residence's information. "Pset" stands for playerset, meaning you're setting Flags for another player. The following is the easiest way to set Commands for individuals, as it opens up a chest GUI in which you can visually toggle the various Flags. Rupees are the official buying/selling currency of the Empire. Almost anything can be bought using them, and you can earn them in a variety of ways. 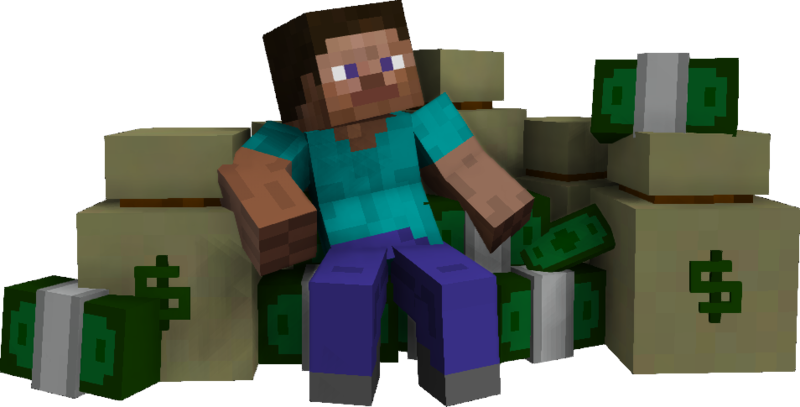 Your rupee balance is cross-server, meaning the Rupees you have on SMP1 are the same Rupees you have on SMP2, SMP3, SMP4, and so on. You can sell more unique items with CHOOSE signs; find out more by visiting the Creating Player Shops page. You will automatically gain 2,000 Rupees upon completion of the tutorial, and up to an additional 11,000 Rupees for completing tasks such as signing up on the forums. 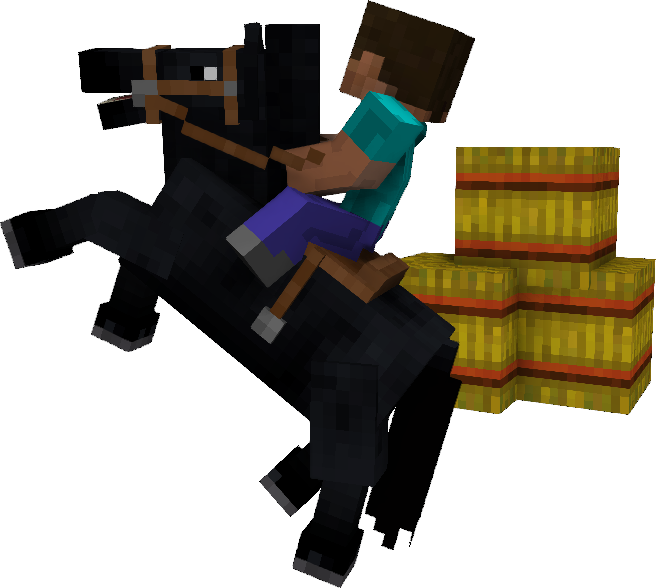 You will also receive various items that help you get started, like armor, diamonds, a horse, etc. It is smart to keep these items, not sell them off, because they will come in very handy while you learn the different aspects of the Empire. /r pay playername amount - Pay someone Rupees. Example: /r pay Aikar 9001. /r - Check your rupee balance. If you click "(learn more)" while in-game, it will take you to the wiki page. Using Rupees as currency, you can buy or sell with player shops in Town. Use /shop to look for Residences with shops, which are signs similar to the one on the right. You can buy from a shop with a left click or sell to it with a right click. Selling to others' shops is a great way to start earning Rupees. To make a shop, you simply place a sign above a chest and write the following on lines 1-4: "Your Name / Quantity / BuyPrice:SellPrice / #".Then right click the sign with the item you are selling to have its name written on the fourth line. You can set up signs to have people just buy, just sell or let them do both - just leave out the left or right side of the ":" on line 3. An example shop for diamonds, which you can only buy from, is shown to the right. A Trading System also exists, allowing you to securely exchange items and/or Rupees with other players. 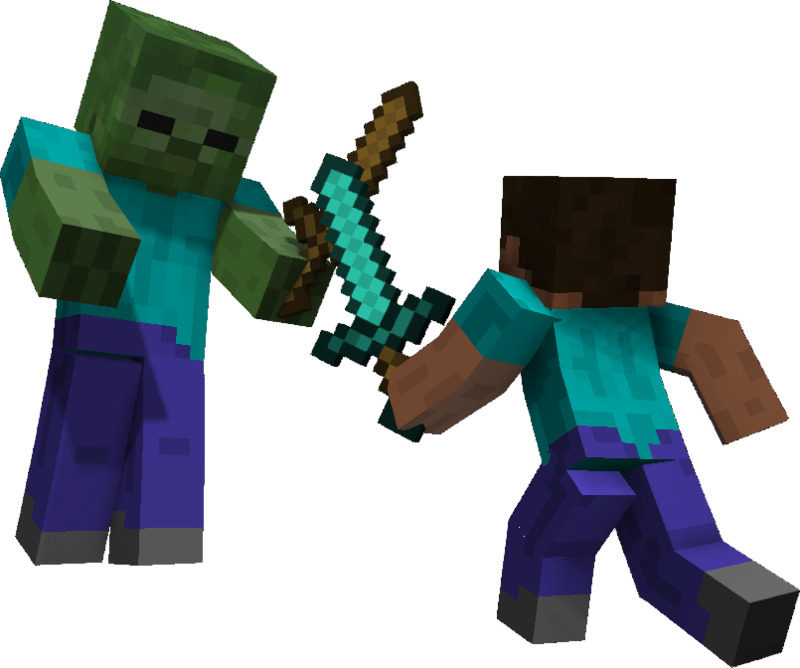 Tokens are a special currency earned on Empire Minecraft when a player completes a challenging task, such as defeating Custom Mobs, such as the Enraged Zombie, Momentus, or Marlix. The number of Tokens earned will scale based on the player's personal difficulty level, but may be affected by other factors, such as the number of player deaths nearby (In other words, constantly dying will reduce the amount of Tokens earned). Unlike Rupees, Tokens must be earned by a player, and cannot be traded nor gifted. Horses and llamas cannot travel in your Vault. Therefore, to keep them safe and let you transfer them across the servers, we have developed a stable system. It is free to stable and unstable your horse on each server. For more details on horses, see the Stables and Animal Controls and Commands pages. Outside of the Town, it costs 100 Rupees to summon a horse from a stable. Storing a horse is always free. 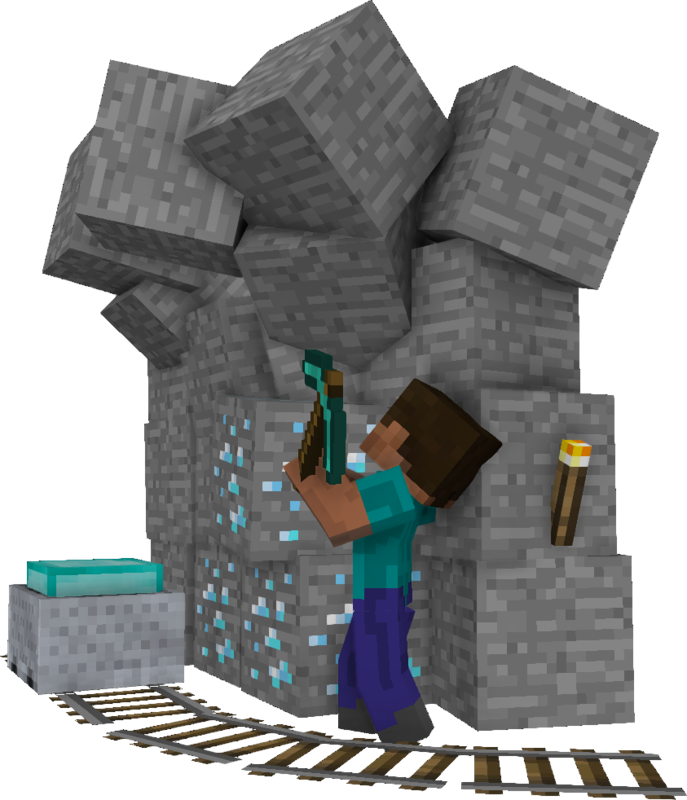 On each server, you will have a separate inventory. Do not be alarmed if your items on one server do not show up on another server. You must manually transfer these items across the servers with your Vault. The cost is 10 Rupees every time you open it. However, after you have first opened your Vault, you can use the command again for free for five minutes. One Vault page can hold a double chest's worth of items. If you would like some extra room, you can expand your Vault for 10,000 Rupees per page, or via redemption of a Vault Voucher. Once you have five Vault pages, you will no longer need to pay to open up your Vault. /vault - this opens your first Vault page.